OCAAT is a side business for me, well, not in every sense. I write as I enjoy writing. Through this blog I meet 100’s of people virtually everyday. The blog gives me satisfaction to the extreme and a feeling that I am one of the few in this world. I did blog marketing and continue to do so. I do market my blog without spending any money on it. When I got the below guest post, I felt it resonated my feeling. I put my thoughts at the bottom of this article. There was a time when the only way to effectively market your side business was by spending thousands of dollars on advertising. From television commercials to radio spots and from roadside billboards to printed ads in newspapers and magazines – these were the major sources of gaining visibility and attracting customers for a business. While the jury was still out on the effectiveness of traditional advertising, a new marketing tool began to raise its head. Who would have thought that in some years, the World Wide Web would become such a powerful medium of promoting a business? As things stand now, having an integrated online marketing strategy has become the key to promoting your business. Ignore it and you’ll be committing marketing suicide. First of all, if you don’t have a website for your business, now would be a good time to get one. It’s no longer okay to not have an online presence no matter how local you think your business is. But before you start calculating the cost of developing a website in your head, let me tell you that you can get website templates for free or by paying a small fee from certain providers. Make sure your website is designed in such a way that it not only attracts traffic, but also generates leads. The only way to do it is by putting up unique, interesting and updated content on your website. Another important and effective online marketing tool is blogging. Yes, its time consuming and coming up with relevant subjects to write on frequently can seem painstaking. But blogging will help you not only get eyeballs, but also share insights and experiences with your target audience and establish a line of trust with them. In addition to having your own blog, you can also write guest posts on websites that have the same target audience as you. For example, websites or blogs of businesses that offer complementary services may be an excellent source of leads. Writing interesting, engaging and relevant guest posts on these websites can help you generate leads for your own business. Don’t make the mistake of thinking that Twitter and Facebook have no value for businesses. Everyone and their second cousin use these social networking sites these days and it will be foolhardy not to have a Twitter account and Facebook page for your business, especially if you are targeting a younger demographic profile. You can use both these websites for sharing news and updates about your business and engage with your customers. In fact, Twitter is an excellent tool for providing customer service as you can answer questions and troubleshoot problems on it. Facebook, on the other hand, can be used to run competitions, share interesting tid-bits about your company, and present its human face to customers. Whoever said a picture is worth a thousand words could not have been more right. You can use the best language to describe your product to your audience, but they are unlikely to make a decision without seeing first what it looks like. Flickr is a great source for sharing photos and description of your products. You can also create and upload videos of your products on YouTube as well as your own website. In fact, video marketing is considered one of the strongest ways of promoting your business, attracting new customers, and generating sales. Don’t give in to the idea of just doing promotional videos. If you want to win the goodwill of your customers, create some how-to and troubleshooting videos as well. Today, when you go somewhere, all the information that you may need goes with you. Thanks to technological innovations like smartphones and tablets, more and more people are searching for local businesses on the go making the Yellow Pages seem like a relic from the dinosaur-era. From restaurants and florists to jewelry stores and pet shops – every business must get listed on local directories offered by Internet powerhouses like Google, Bing, and Yahoo. These directories not only provide your contact info, but also allow you to describe your business and include a link to your website. If the popularity of coupon websites like groupon.com is any indication, people are always looking out for a good deal. So, make sure you leverage such websites to promote any ongoing deals and discounts. You can also make use of your Twitter and Facebook profiles as well as your company website to promote any offers. Google Analytics allows you to track, monitor and analyze website performance and visitors. Google Analytics can easily and quickly provide you data about your customers that would help you strategize your marketing plan. Geological location of customers will also help businesses advertise in places that are more likely to earn profit for the company. You’ll also find survey tools online that may be free or available for a very nominal price. These tools can help you collect survey data about products you’d like to launch. While it is hard for small businesses to get brand visibility on the Internet, making use of available tools will provide a company with essential information to market effectively. These tips are just the tip of the proverbial iceberg so far as marketing your business for free is concerned. Dig a little deeper, explore some more and you’ll find hundreds of other ways to promote your business without spending a dime. All it takes is a little time, some out-of-the-box thinking, and a lot of inquisitiveness. Author Bio – Elvis Donnelly is a father of two who works from home and lives with his wife. He is voracious reader and always looks out for happening topics related to personal finance. He specializes on subjects related to insurance and uses his spare time to write on topics related to saving money tips, aarp insurance, small business trends etc. SB’s Thoughts – Many may feel this was not a true personal finance story. I think still it is. I talk about making extra money and finding ways to earn more money, whether by negotiating salary, changing jobs or starting a new business to increase earning potential. Many of us aspire to be a businessman. You don’t have to open a factory or something to start a business. You can start small, having a boutique or selling your paintings are the type of businesses that require marketing on a budget, or perhaps, at no cost. Let’s say, I want to sell the applique that my father creates. I would definitely try these steps to spread the word and increase the business visibility. I’d also want to use social media more and more, like Pinterest, to sell arts and crafts, there’s no better avenue than Pinterest in social media landscape. Also, handing out business cards in social gatherings is one of the best ways to market your business. 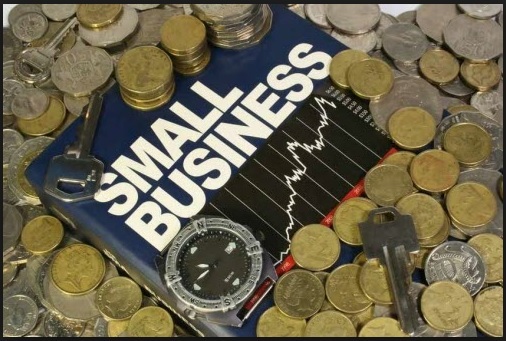 Readers, if you own a small business, what others methods you are employing to market your business? The author made some pertinent points; social networking isn’t “just for kids” anymore and businesses need an online presence. I recently went to a printer I was referred to, to get a quote. I was a bit hesitant because they didn’t have a website or email address (I mean, come on, in this day and age it’s expected!) They were really nice, but the fact that they didn’t have a web presence was a determining factor in not using them. These marketing approaches are all important for small businesses to do. Of course, keeping up with a lot of these tasks on the side can be time consuming for the business owner/operator. Delegating these duties to one of your employees may be a good idea. Good points SB! Small business owners really need to market their brands on social networking sites, however, though we do not need to spend money to create pages and posts, boosting a post every now and then helps to improve your online presence and to reach your target audience. I’m not doing a very good job with GA and I haven’t done much survey either. I am actually quite surprised by how ignorant many small business owners are about social networking these days. So many good examples out there of how it can be done cheaply and with a surprisingly impressive impact! I just started my blog for $26 to get the self-titled domain for a yearly fee. It is baby stage right now, but a great use of my free time as I am in between schools. This is a great way to learn and grow as a person and it fits with my passion to help people build their personal wealth to enrich their lives and future generations. Some good tips here! I’ve had much more success with twitter vs facebook. Another low cost option is to have a decal made of your website url and place it on your car, you’d be surprised how many eyes you reach! Guest posts are like all the great things – they leave both parties feeling great afterwards. For physical goods, Etsy and Pinterest are great ways to get the word out. For virtual goods – blogs, websites, services – video is an interesting tool. I’ve started experimenting with Animoto. It’s amazing to me how easy they make it to make a 30 second video with music, text overlays, etc. All you need is a few pictures or screenshots and they add the whiz-bang bits and pieces. Then it’s just a few clicks to put it up on YouTube or other video sites. Oh, and it’s free, for 30 second videos. Another good idea for inexpensive advertising would be using large car magnets. Some sites sell them very inexpensively and they are usually very easy to design. Just buy a few your vehicle and maybe some for friends that will help you out and drive as you normally do. Thanks, Guys. You’ve come up with some good ideas. There are hundreds of ways to promote your business online and for those who haven’t started – hopefully you’ll make your debut online soon and tell us about it!